Fancy a pint or two in one of the locals? Well you're in luck because Spondon currently boasts a number of village watering holes! Pub History: Bank Bar opened in 2011. Prior to that, it was formerly Gregory's Bar. 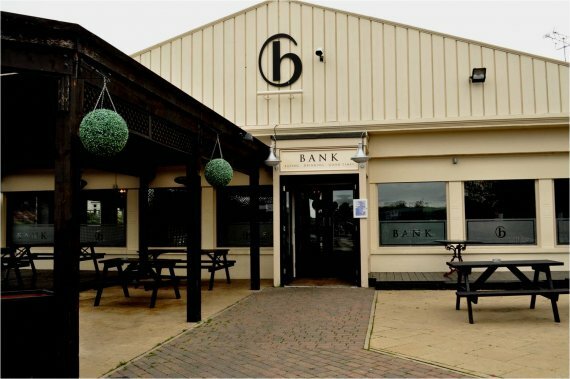 It was briefly renamed 48's Sports Bar for a period but reverted back to Bank Bar in 2015. The sports bar offers food and drink along with music, karaoke and regular special events. Pub History: Originally the Canal Tavern, it's name changed to the Station Inn on completion of the railway in 1839. The old Inn was demolished in 1929 when the current building was built 30 yards away and opened as the Moon Hotel. The pub name reverted back to its waterside roots as The Canal Turn following a refurbishment in 2015. Pub History: There has been a public house on this site since at least the 1300's with the original malting house being recorded as the source of the Spondon Fire in 1340. The premises have been rebuilt twice with the existing building dating back to the 18th century. Pub History: Situated on the existing site since the early 1700's. Pub History: Called the Bricklayers Arms, the original inn was situated next to where the current premises are. Later, two cottages were joined together on the existing site to form an Inn. It was known as the Vernon Arms in 1899 and was sold to Burton's Ind Coope brewery in 1959. Pub History: Records show that the Swan has existed under that name and in it's current location since at least the late 18th century.